Wow!Stunning Home on the 9th hole of The Resort Golf Course, enjoy the low maintenance lifestyle! This custom built home with open concept floor plan is ideal for entertaining and features gourmet kitchen that opens to living & dining area! Gourmet kitchen is a cook's dream double ovens, Gas Cook top complete with custom cabinetry, top of the line appliances & lots of counter space including a huge island! Upgrades galore including extensive crown & mill work, beautiful premium carpet & tile! 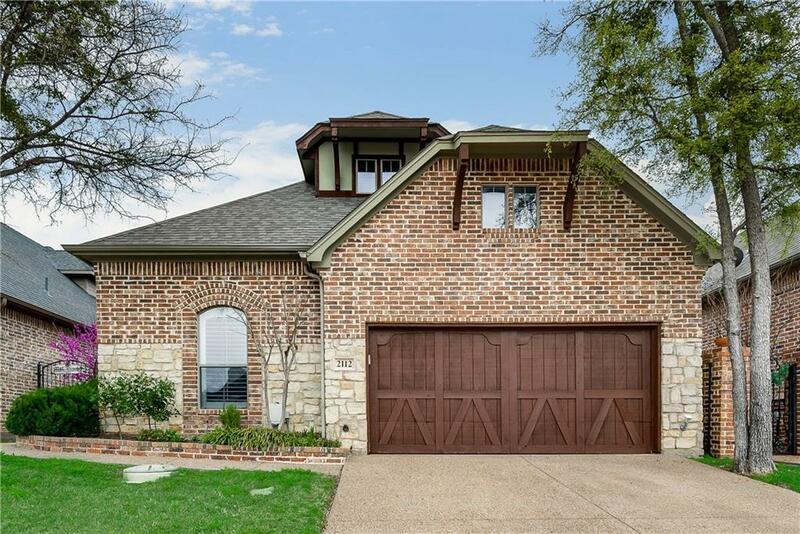 Private Master Suite is HUGE!Exterior Patio Surrounded by mature trees, the huge Texas-sized covered porch complete with outdoor kitchen is the perfect for all your entertainment needs! HOA includes lawn maintenance!